A medical flight service with thousands of medical and medical flights and NO loss of life and NO air mishaps - 100% success. The highest safety record in the medical flight business! If you or your loved ones need a reliable, safe, prompt, professional medical flight transfer or you have questions, please phone us anytime. 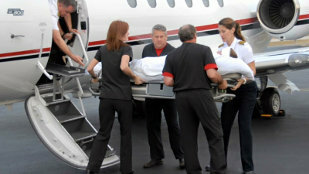 We will offer you the highest quality in the medical flight industry.